The checkerboard-inspired grid permeates every part of the network, including transitions like the one in this morning bump. Image courtesy of Brand New School and Cartoon Network. 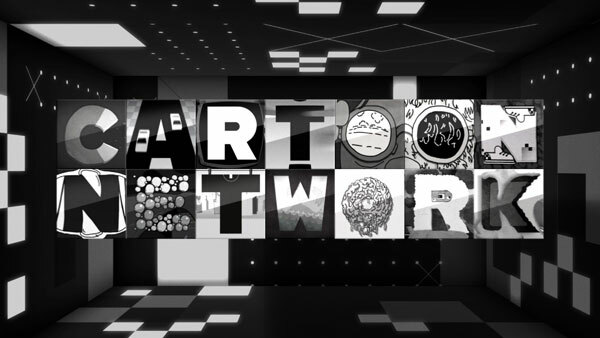 The network chose to embrace its brand visual heritage of the black and white checkerboard by imbuing it with new meaning, and the artists and producers of Brand New School (BNS )were able to bring this idea to life in a fresh, compelling way using dimension, colour and movement. All the new design elements began appearing in late May, and the new on-air IDs premiered on the network last week. 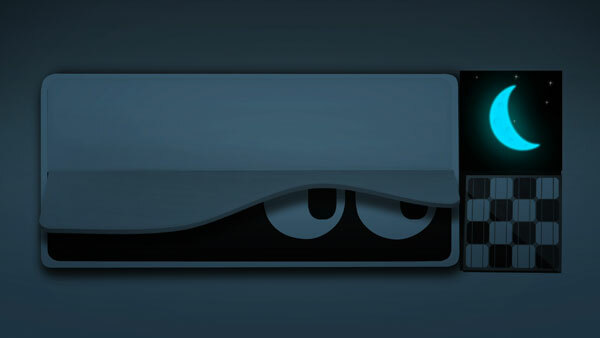 Every CN day starts and ends with the dashboard clock, as pictured here waking up after a long night of adult swim programming. Image courtesy of Brand New School and Cartoon Network. 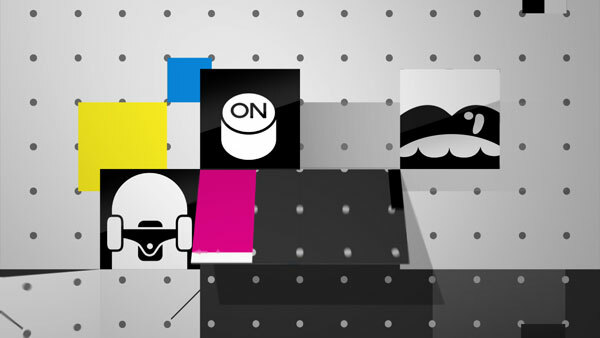 A morning bump highlighting CN's new patterns and DNA, its graphic icon system. Image courtesy of Brand New School and Cartoon Network. For show menus, the checkerboard explodes in space, becoming endless portals for Cartoon Network's characters to spring from. Image courtesy of Brand New School and Cartoon Network. BNS founder and creative director Jonathan Notaro, along with art directors Eric Adolfsen and Mike Calvert, provided detailed insights into the conceptual thinking behind the multifaceted brand expansion project, where their approaches emphasized interconnectedness across each and every deliverable, as well as the pairing of extremely thoughtful design with animation geared toward generating specific audience responses, including laughter. 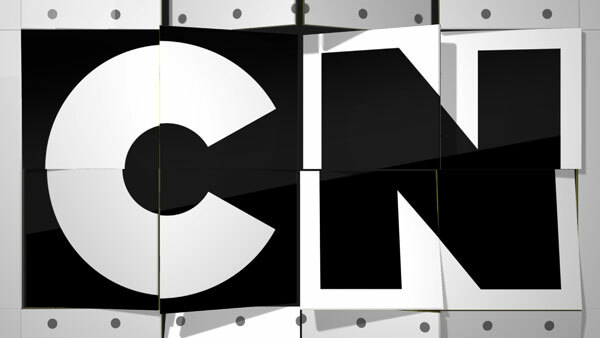 "An ad for CN's website that is itself a play on advertising." Image courtesy of Brand New School and Cartoon Network. 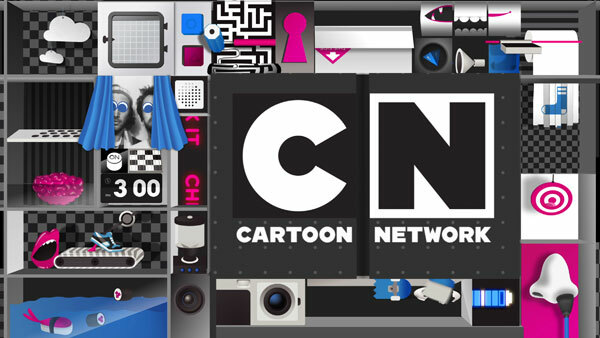 Eric Adolfsen:"The illustrated logo concept gave us the chance to curate the many artists we most wanted to share with Cartoon Network's viewers". Image courtesy of Brand New School and Cartoon Network. By combining their design ideas within the organizational approach, the BNS team was pleased to have created a meta-narrative that uses the complete visual identity system to creatively convey the interconnectedness of the channel’s content. From the promos to the menus to the bumps to the IDs, each piece tells the same story from a different perspective, where the checkerboard functions like a chessboard, with infinite moves possible. Afternoons kick off with the power-up of CN's dashboard, a visualization of the odd inner-machinery of the station. These widgets are individually spotlighted throughout the afternoon. Image courtesy of Brand New School and Cartoon Network.